We held our wedding and reception at Ware Priory. They provided lanterns for the aisle in the Ceremony room, and everything in the Reception room, including charger plates, chair covers, a lit backdrop for the header table and chair covers with diamanté clusters. 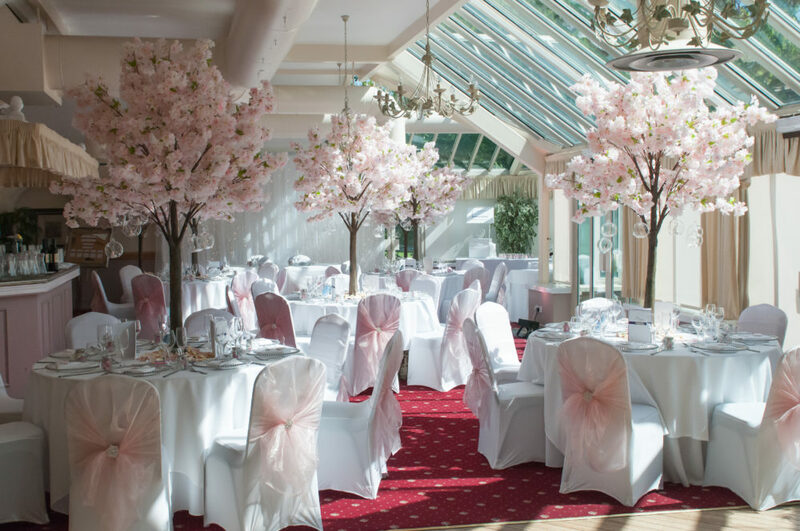 However the items that took everyone’s breath away were the silk blossom trees in the centre of each table, which all had hanging tea lights on their branches. Each guest was stunned on entering, and complemented on the layout.